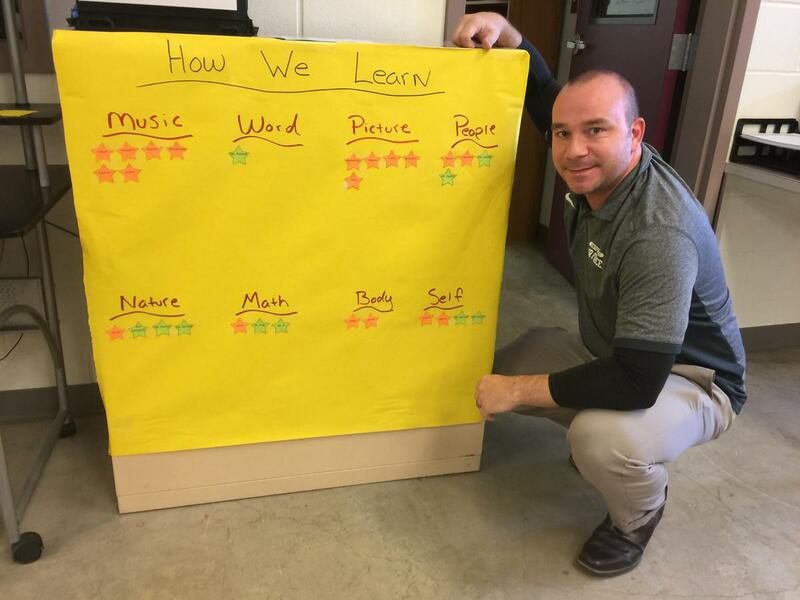 Read about how Mr. Provencher is tailoring instruction for each student in his classroom. Everybody learns differently and, this summer, Mr. Provencher, a middle school teacher at the Floresville Alternative Center, decided he was to make sure he understood how to reach every student. He found an easy questionnaire that students could complete on day one that would help him discover how they learn best. “What I’ve already learned is that a lot of our students are musical learners, and I’ve already made an adjustment to show more musical math clips to help get the students engaged and help with vocabulary memorization.” Teachers also completed the questionnaire so that students understand that even their teachers have different learning styles. Mr. Provencher is making a difference for his students by making a connection and learning more about his students!